As you tear down your motorcycle’s top end, you can perform a rough check of your pistons and cylinder bores by trying to move the pistons sideways in each bore. A proper piston clearance and serviceable limit should have almost no side to side movement. If there is movement and obvious wear, you may need to bore your cylinder and move up to the next oversize. To check the bore and piston, use inside and outside micrometers to measure both the cylinder bore and the piston skirt. Take the measurements in different positions around each. To get the piston clearance, subtract the piston’s diameter from the largest bore diameter. Confirm the serviceable limits in your motorcycle’s shop manual. You’ll also need to check the ring gap. To do so, insert a feeler gauge of the proper size between the each piston ring and the top or bottom of its groove in the piston. Refer to your shop manual for the exact measurements. For cylinder/piston clearances that are out of spec, you may need to replace the piston. 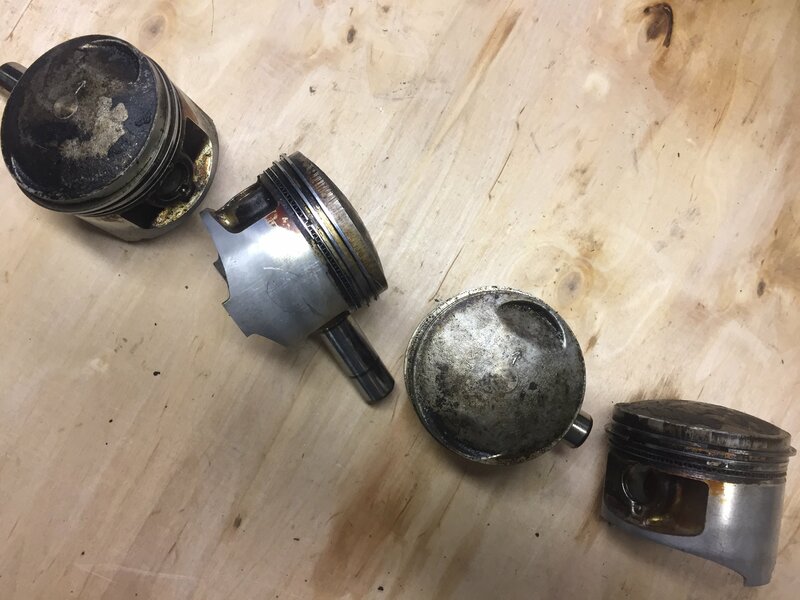 If your pistons and bores are within serviceable limits, you’ll just need to install a new set of piston rings and give the cylinder a light hone to break the glaze and help the new piston rings seat. If your pistons/cylinder bores are way out of spec, it is probably best that you outsource the cylinder hone job. Remove the circlip that keeps the wrist pin in place. Remove the wrist pin from one side. You can usually use a screwdriver or an allen wrench, but if it is too tight, you may need a wrist pin puller tool. Remove the piston from the rod. NOTE: If you don’t plan on splitting your cases (maybe even if you do), place a shop rag or something to block the holes leading into the crankcase to avoid dropping anything inside of it. You can install your new piston rings with your fingers or a ring expander tool. 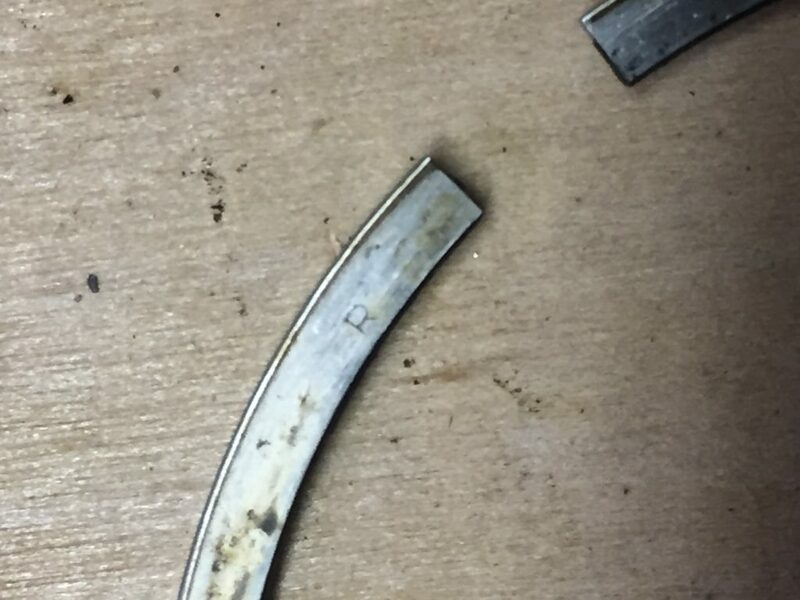 If you are using your fingers, be careful not to bend or expand the piston rings too much, otherwise they will break. Install each ring carefully and slowly, moving from the bottom to the top. Be sure the ring’s markings are facing the correct way. Generally, most markings will face up, but you should also pay attention to the ring’s bevel. Confirm in your motorcycle shop manual. Once all the new piston rings are installed, stagger the ring opening so that they are not inline with one another. Oil the cylinder walls, pistons, rings, and ring grooves before installing the pistons back into the cylinder block. Be sure to install the piston with its directional arrow facing the correct way. Install a new base gasket, and make sure to replace any o-rings or knock pins. Place a shop rag under each piston as you reinstall the wrist pins and circlips. It helps to install the innermost pistons first, otherwise you may have trouble accessing the wrist pins and getting the circlips back in place. Slowly lower the cylinder block over the pistons. You can use a ring compressor, a hose clamp, or your fingers to gently slide the pistons and rings into the bores. You should not have to force anything. Reposition the cylinders and pistons if things are not working. Which Way to Install Motorcycle Piston Rings? When installing new piston rings, it’s important to not only place them in the correct order, but also in the proper orientation. 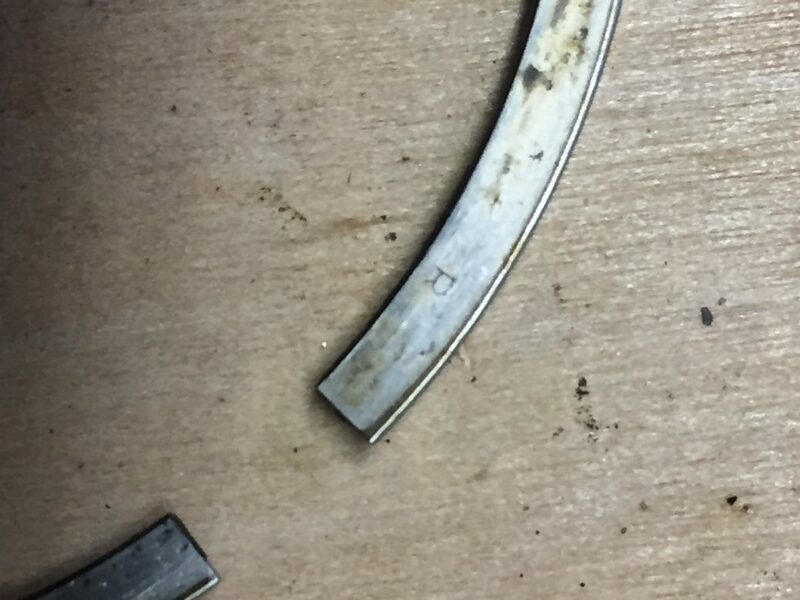 Your manufacturer’s shop manual will usually describe which way to orient the piston rings, but you may end up with an aftermarket set that is not properly marked. If your rings are marked, the marking side typically faces upwards. Top and second rings that have tapers/beveled edges are usually installed with the taper facing upwards. Sometimes you’ll find that both the top and second piston ring are chrome plated. If you have ring that is not chrome plated, is parkerized, or matte grey/black in appearance, it is usually the second ring. 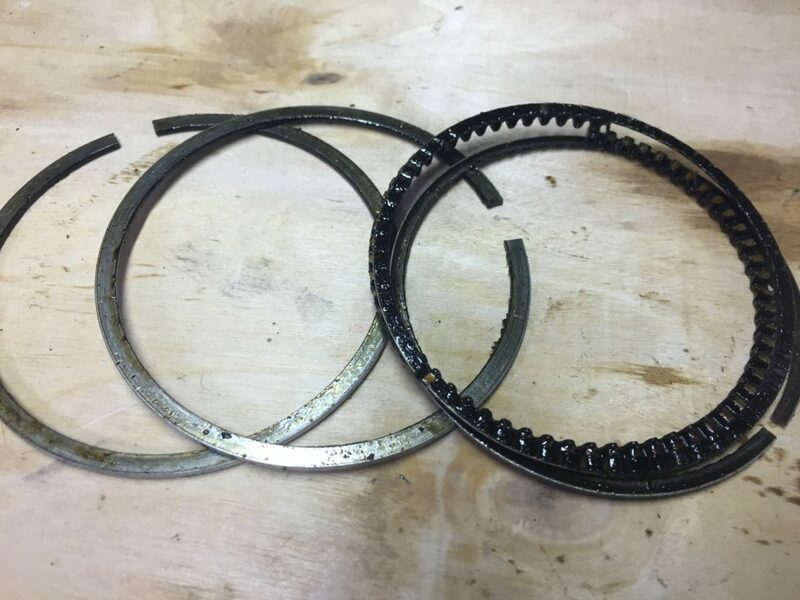 Three piece oil rings do not have a proper orientation, but the flat ring should go between the zig-zag oil rings. Check with your motorcycle shop manual for correct orientation and order of your piston rings. When you are taking the existing rings off of your pistons, takes notes and pictures of the order and direction of the bevel on the ring.